Now Leasing for Fall 2019! Call Today or Apply Online. 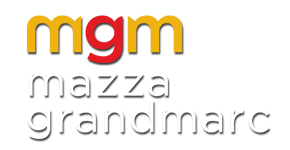 Mazza Grandmarc provides off campus apartments for students attending The University of Maryland in College Park, Maryland. Conveniently located just north of the University on the campus shuttle route, Mazza Grandmarc makes it easy to get to and from class. Our social community atmosphere offers a resort-style pool, theater room, fitness center, and internet café. Right off of 495 Mazza Grandmarc enables the ultimate in student living keeping you connected to Maryland, the District of Columbia, and northern Virginia without ever setting foot in a car! Dining, shopping and entertainment are steps or a short bike ride away if residents prefer biking with our free MGM Rides trail system. Call us today for more information about your UMD Apartment!